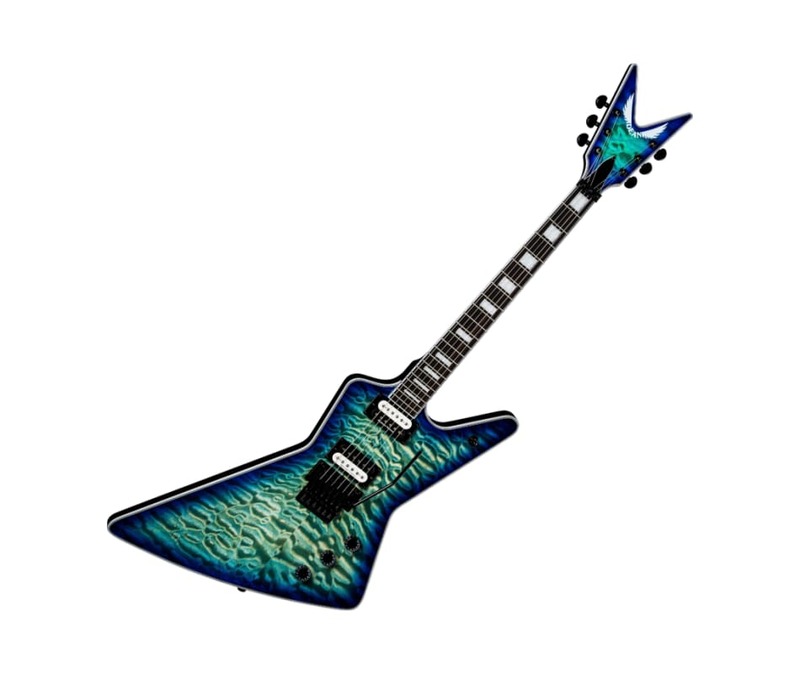 The Dean Z Select Floyd Quilt Top Electric Guitar features a gloss ocean-burst finish on its Select Quilt Maple Top and a matching Headstock. With Pearl block inlays on its ebony fretboard, you can expect to ride smoothly down the satin finished set-thru neck with confidence in the Floyd Rose tremolo and locking R-3 nut. This guitar also features active Seymour Duncan TB-5 and APH-1 Custom Zebra humbucker pickups, 3-way toggle switch, tone control and 2 volume knobs to give you the right blend of sound. Get your wings today!